With five live-action series to choose from, conventions around the country have no problem finding talent for their Star Trek panels. But for the 50th anniversary of the original series, San Diego Comic Con is pulling out all the stops to impress a rabid fan base. 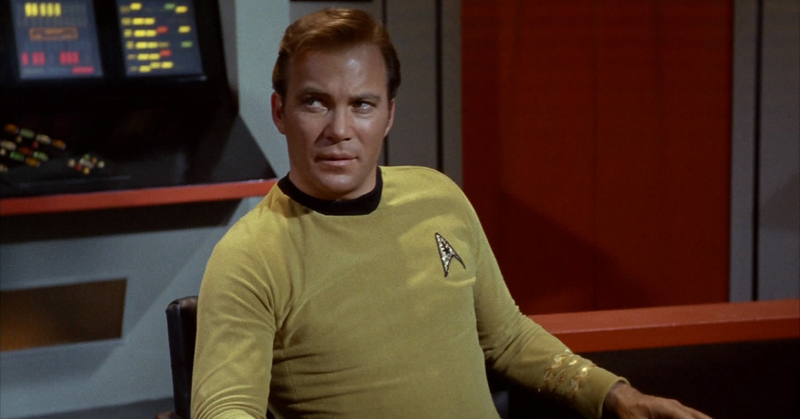 TVLine reports William Shatner will headline this year's Star Trek panel at Comic Con. The panel, titled "Star Trek: Celebrating 50 Years," will also feature a slew of actors from the other series, including Scott Bacula (Star Trek: Enterprise), Michael Dorn (Star Trek: The Next Generation), Brent Spiner (Star Trek: The Next Generation) and Jeri Ryan (Star Trek: Voyager). Bryan Fuller, the producer of the new Star Trek series set to air on CBS next year, will serve as the panel's moderator. Not much is known about the new series, so perhaps this panel will be a way for Fuller to spill some secrets. The original series celebrates its 50th birthday on September 8, the day the first episode premiered in 1966. If the star-studded panel wasn't enough, an entire convention devoted to Star Trek is scheduled to commemorate the anniversary, and will be held in New York City over Labor Day weekend, September 2–4. For those who already have tickets to San Diego Comic Con, the panel will take place July 23 from 2PM to 3PM in Hall H.
For the rest of us, there's always June 24 to look forward to, when H&I will boldly go where no network has gone before and begin airing all five live-action Star Trek series.